Building the church began in 1092 and consecration followed in 1121. Many partly carved pieces of stone can be found in the walls sugesting that the building used some of the waste stone from Tewkesbury Abbey. The church features a long nave having walls that lean outwards reminding one of a ship's hull. This is a reference to St Nicholas also being the patron saint of seamen. 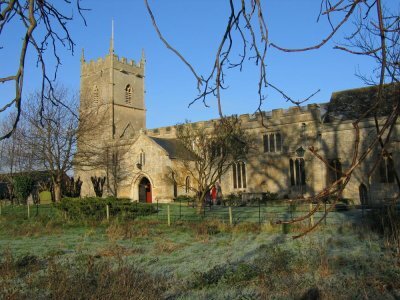 During the 13th century the north aisle was added, followed by a fine, pinnacled tower in the 14th century. The oak rood screen dividing the sanctuary from the nave dates from the 15th century. The existence of such an ancient screen is rare as many were destroyed in Cromwellian times.